Fantasy author Brandon Sanderson will appear at Kepler's Books on Friday, Oct. 9, at 7:30 p.m. to discuss his latest book, "Shadows of Self." Photo courtesy of Kepler's Books. Travel with Brandon Sanderson to his fictional universe, the Cosmere, when the fantasy writer appears at Kepler's Books this Friday, Oct. 9. An evening with the author starts at 7:30 p.m. Fantasy enthusiasts will have the opportunity to ask about his latest book, "Shadows of Self," a spin-off of the New York Times best-selling "Mistborn" series. The latest work is set 300 years after the conclusion of the original trilogy, in a time modeled after late 19th century America. This bustling society faces its first true act of terrorism, and former lawman Wax and his partner Wayne must unravel the conspiracy before the progress of planet Scadrial is brought to a halt. Fans can spend the evening with Sanderson, find out more about his three laws of writing and have up to three books personally signed by the author, one of which must be a copy of "Shadows of Self," purchased at Kepler's. Tickets are available at the store or online, and are $10 for students, $20 general admission and $40 for priority seating including a hardcover copy of the book. For more information on the event, go to keplers.com or call 650-324-4321. 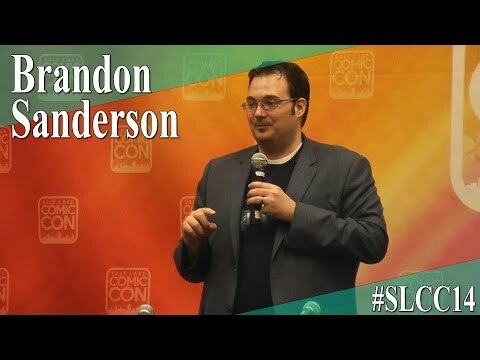 To find out more about the author, go to brandonsanderson.com. Matt Rupel is an editorial intern at Palo Alto Weekly.